Just read an article about the jobs that will be eliminated because of companies moving to cloud. My initial guess before reading the article was correct - the IT infrastructure support ppl. like network admins, mail server maintenance would be affected first. In fact, the company where I consult recently migrated to Gmail from Outlook and I already see less calls being made to support guys. So the support group will be affected first and then the "custom development" teams would be affected. Companies whose core function is not IT or where it is treated as a cost center would more readily use cloud. So how does it affect Microsoft developers like us? We do not have many options. If we want to stick to Microsoft then the only option is to learn about Azure. But I think it is time for a MS developer to leave his comfort zone and start evaluating technologies from other vendors. Once again 'change' is on horizon. I guess this is how C++/VB developers might have felt circa 2000 when world was changing with .NET release. .NET lasted for a decade and I suspect its time is up. 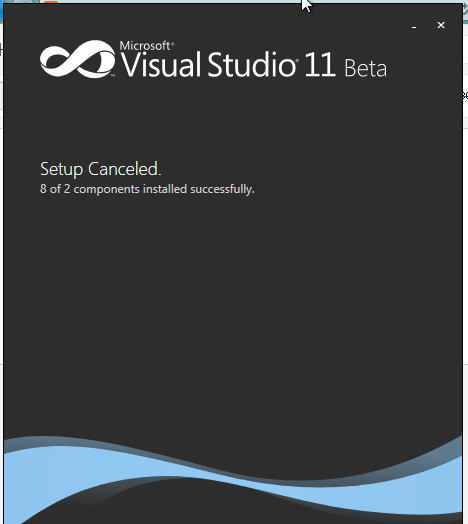 With Windows 8 WinRT exposing its API to C#, bypassing .NET it is a hint of big changes to come. The tablet and mobile will perhaps kill .NET. .NET was built for PC and with PC fading away perhaps its time too has come to go. I like the closing remarks of the article "Embrace the cloud, don't fight it".